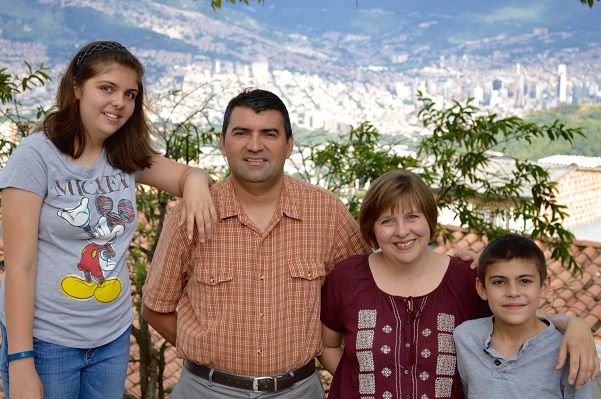 The Gómez family is based in Medellín, Colombia, where their ministry responsibilities are threefold. Locally, Dr. Ricardo and Beth work with a team of key leaders to develop an urban church planting initiative and open FM churches in Medellín. Nationally, they work with national director, Libni Gasca, to develop a similar initiative in strategic cities throughout Colombia. Internationally, Ricardo continues to assist with ordination of FM pastors and serves as a part-time, volunteer professor at the Seminario Bíbilico de Colombia, a nondenominational seminary training leaders.